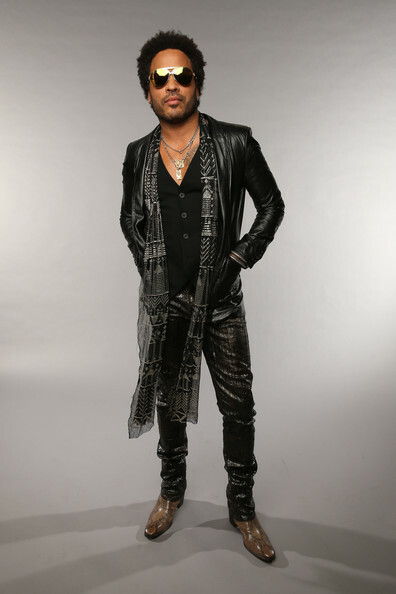 Lenny Kravitz poses at the Wonderwall portrait studio during the 2013 CMT Music Awards at Bridgestone Arena on June 5, 2013 in Nashville, Tennessee. Lenny Kravitz rocked his signature rocker look with a black leather jacket and leather pants. Lenny Kravitz's textured leather pants added a super cool and edgy touch to his look.